It seems that the British over at Lotus have been getting rather restless lately and after announcing stuff like the new Eterne, their changes for the F1 program and their involvement in the world of hybrids they’ve just announced their plan to go do some more racing. Now that’s the stuff that petrolheads appreciate, a manufacturer that finds actual ways to implement their philosophy, a manufacturer who is in tune with the times and yet has enough time and resources to keep up a decent racing program. How they will be keeping up their end of the latter is as follows; the company will expand involvement in the Indycar circuit, in the GP2, GP3, GT series and to top all of that off in the Le Mans racing calendar. That’s going to take quite some planning and money and while I’m not sure it’s feasible as far as the second part is the Norfolk based company seems to have the first one all written down. First, the Indy racing will see two cars as opposed to one now and most likely the power for the racing here won’t come from Cosworth. As far as the GP2 and GP3 series are concerned Lotus is also teaming up the folks over at ART Grand Prix (they’re winners of a single seater feeding series that probably have some budget restrains). 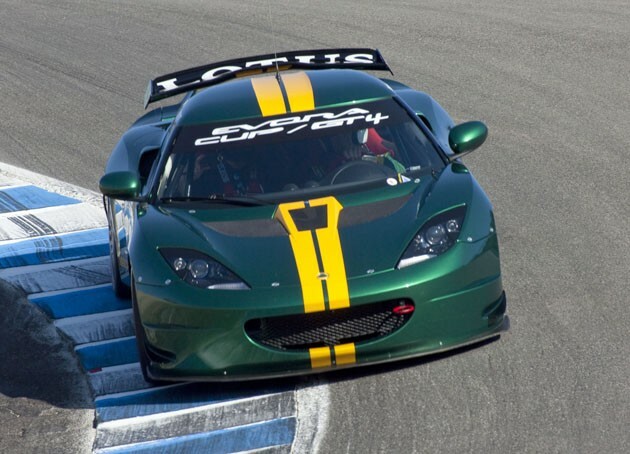 Moving a bit higher up the grid, the GT series will see quite some improvement as far as Lotus is concerned as they plan to build a GT2 and a GT3 version of the Lotus Evora which got quite a bit of enthusiasm as a GT4 version. Add to that the fact that the company will be doing quite a lot of changes to their F1 team by turning to using engines supplied by Renault and gearboxes and other bits and pieces from the very successful Red Bull Racing and you find yourself looking at a lot of Lotus in the world racing scene.